(Caribbean Development Bank Press Release) – The Green Climate Fund and the Caribbean Development Bank (CDB) on Friday signed a legal agreement to open doors for more climate finance projects in the Caribbean Region. The signing of the Accreditation Master Agreement (AMA) took place on the margins of the Green Climate Fund’s Caribbean Structured Dialogue meeting in Grenada, and which brought together regional stakeholders to plan climate action across the Caribbean Region. “CDB views the signing of this Accreditation Master Agreement as an important milestone in our relationship with GCF. This Agreement will catalyse our efforts to mobilise much-needed funding to build climate resilience in the Bank’s Borrowing Member Countries. 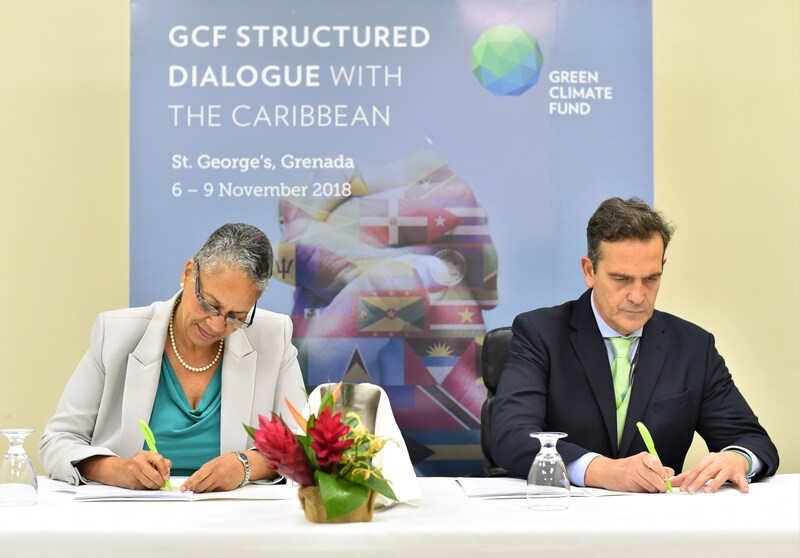 We are looking forward to a productive partnership with GCF, having taken this very important step towards implementing innovative climate solutions in our region,” said Monica La Bennett, Vice-President (Operations), CDB. 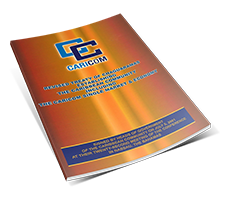 AMAs are the central instrument in the relationship between GCF and an Accredited Entity. They set out the basic terms and conditions as to how the Accredited Entity and GCF can work together for the use of GCF resources. The agreement is a prerequisite for all GCF Accredited Entities to implement GCF-approved projects. Accredited Entities are key to GCF’s climate finance work as they bring forward funding proposals to the Fund and then oversee, supervise, manage and monitor these proposals when approved. The Caribbean is one of the key priority regions for GCF due to its exposure to climate impacts and its needs of climate finance. To this date, GCF Board has approved a number of climate adaptation projects in Barbados, Grenada, Dominica and other Caribbean countries. During the second Structured Dialogue with the Caribbean in Grenada, senior policymakers and other stakeholders, including representatives from CDB, have been discussing the ways to improve regional cooperation on climate finance issues, to boost their engagement with GCF and to explore new investment opportunities.